It’s back! Bounce TV has announced season two of Mann & Wife will premiere next month. 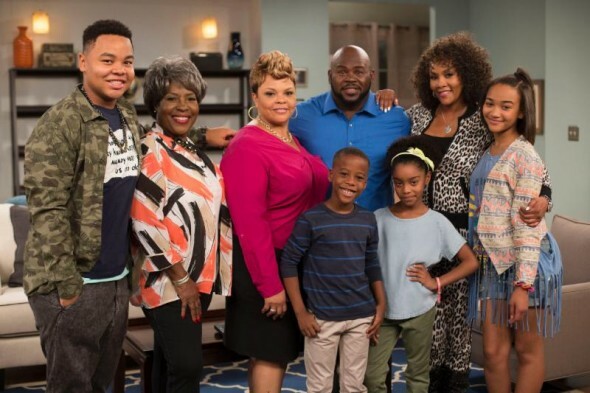 The comedy stars David Mann and Tamela Mann as newlyweds trying to form a new family under one roof with their children from previous relationships. Jo Marie Payton, Tony Rock, and Tiny Lister also star. Season two of Mann & Wife begins on April 5th at 9 p.m. ET/PT. What do you think? Did you watch season one of Mann & Wife? Will you watch the new season? More about: Bounce TV TV shows: canceled or renewed?, Mann & Wife, Mann & Wife: canceled or renewed?